Alumni of Western or Duke Ellington high schools will recognize only its elegant front columns and steps. The rest of the building no longer exists. 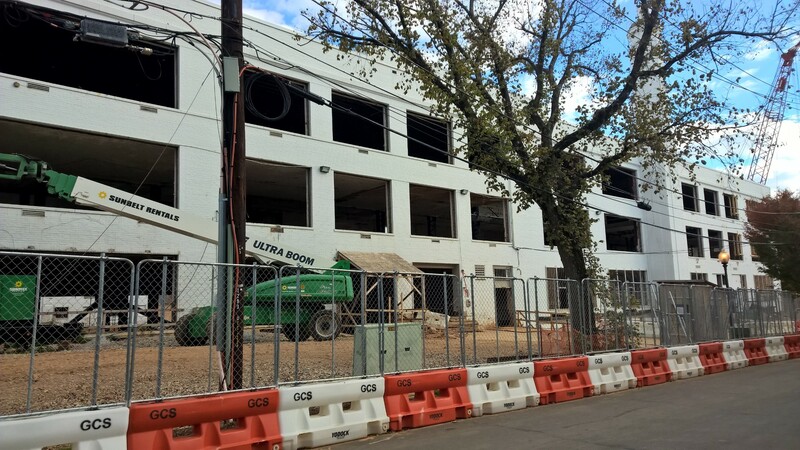 The $180 million currently budgeted for its renovation makes Ellington by far the most expensive capital project undertaken since mayoral control of DCPS, with a cost per square foot exceeding $1000. CLARIFICATION 10/27: The cost per square foot cited here for the Ellington renovation is directly from the auditor’s report (p. 28) and based on the school’s old square footage. However, the cost per square foot for the renovated building–which per DGS reporting is larger than the old (258,072 square feet versus 150,992 square feet)–is about $700 per square foot. Even so, Ellington’s cost per square foot is significantly larger than that of other DC high school renovations, including Ballou (about $450/square foot); Wilson (about $397/square foot, counting pool costs); Roosevelt (about $421/square foot); and Dunbar (about $497/square foot). 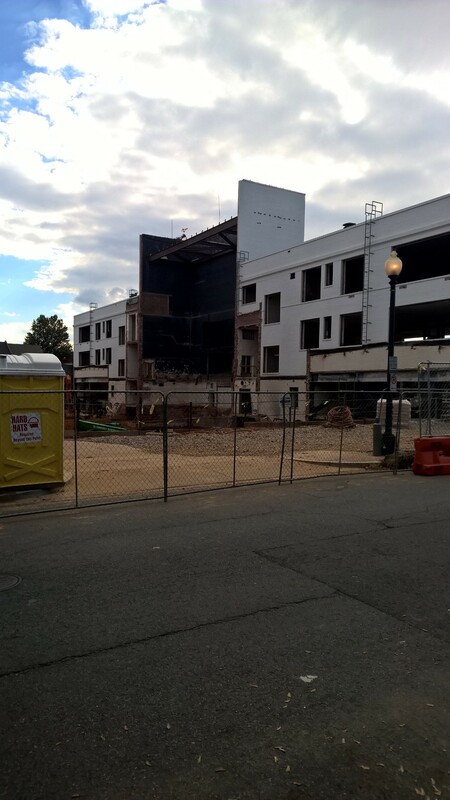 DC high school modernizations have been the most deeply problematic undertaken by the city, consuming a disproportionately large percentage of modernization funds. So far, the city has spent $900 million modernizing high schools, and Banneker and Coolidge High have yet to begin. Most high schools that have been modernized accommodate between 1100 and 1400 students. Ellington, designed for 550, is considerably more expensive than the mostly costly done so far, like Ballou, Roosevelt, and Cardozo. 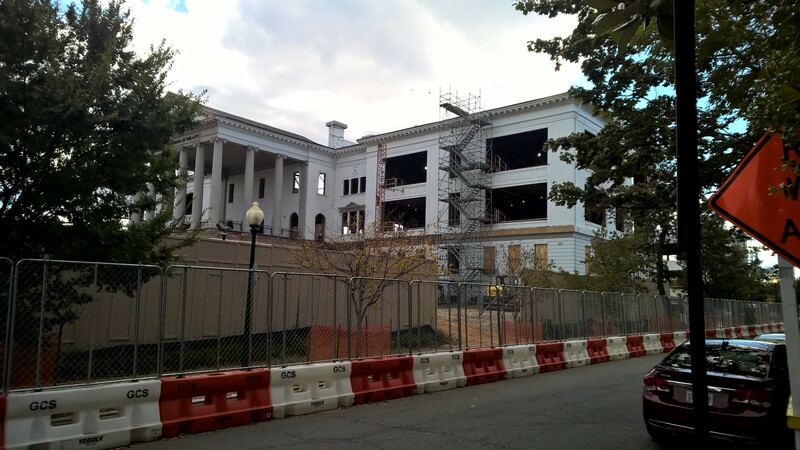 Christoffer Graae, designer for the Georgetown firm Cox, Graae and Spack that won the international competition for the Ellington renovation, noted that his firm’s winning design would cost more than the $82 million budgeted. The projected cost listed on the firm’s website is $120 million. This year, however, Mayor Bowser asked for $178 million to finish Ellington (DC council education committee chairman David Grosso clawed back $8 million). Recently, the mayor extended another $10 million to the project, secured from the $47 million promised by Pepco in a deal concerning the new soccer stadium. That ballooned Ellington’s total budget to $180 million. 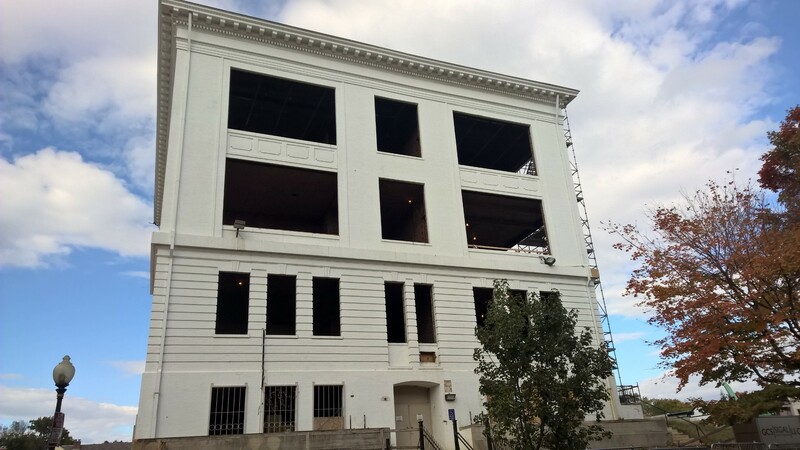 The increased funding for Ellington has came at a cost to other schools: Eliot-Hine and Jefferson middle schools had their renovations delayed, as have Coolidge and Banneker high schools. And there are other costs. Many have complained of the mismatch of Ellington’s current location on the edge of Georgetown, with poor public transportation links, and its student body from all over the city. Using the old Shaw Middle School site for a new Ellington campus, for instance, would ensure vastly superior public transportation accessibility. Others have questioned whether an arts school is the best use of the existing Ellington structure, given nearby Wilson High School’s overcrowding. 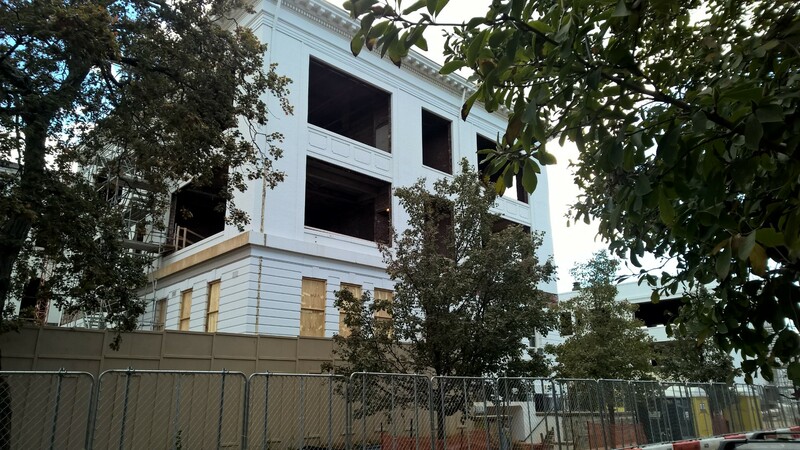 Seeing Ellington in its current state helps explain why its renovation is so expensive. A central portion of the building has been torn down. Save brick walls and floors, most of its interior has been torn out. 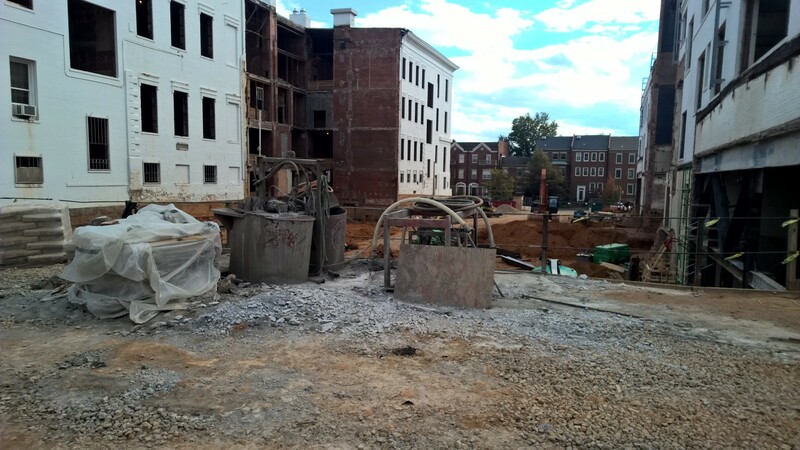 Because load-bearing walls have been removed, large quantities of structural steel are being installed. 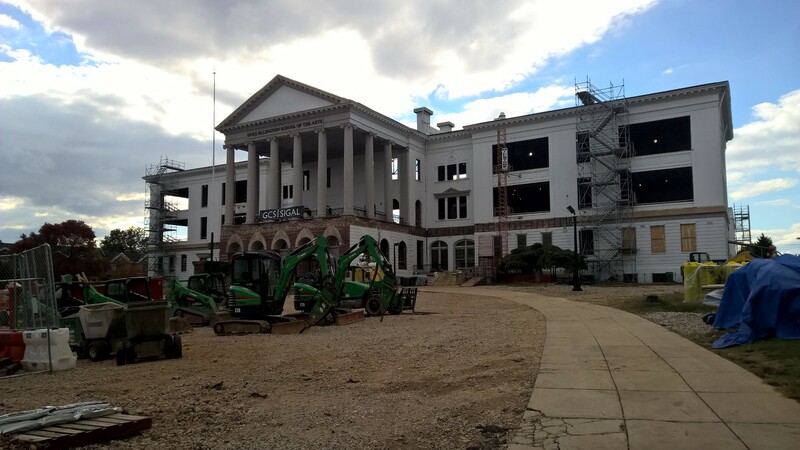 Clearly, calling what is happening at Ellington a renovation is not accurate. 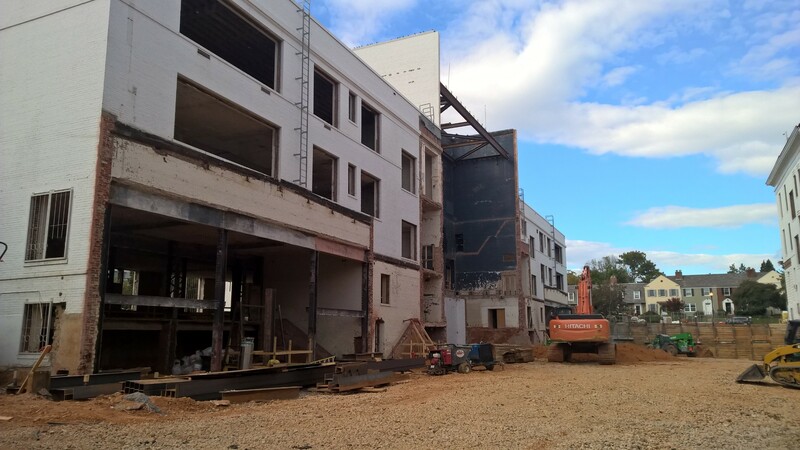 The intent is to make Ellington the crown jewel of the DC school modernization program–and in this, the role of Allen Lew cannot be overstated. Before becoming Mayor Vincent Gray’s city manager, Lew was director of the agency that oversaw all school modernizations. An aficionado of high-quality prestige architecture, Lew had a hand in many lavish modernizations and new high school construction since mayoral control of schools in 2007. It is not too late to repurpose Ellington. 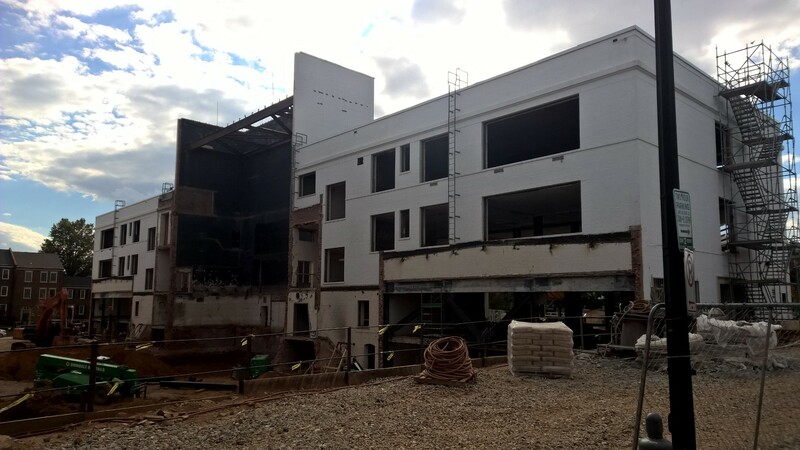 So little construction has taken place that the building could be reconfigured as a comprehensive high school. But peeling funds away from the project seems a difficult task. Using the building for an alternate purpose requires finding a new site for the Ellington School for the Arts. And then bringing new funding to bear to construct it. City leaders need to be held accountable for the way in which this project has unfolded. They also need to be held accountable for the damage done by inaction to other schools and communities still waiting their turn (in some cases, despite being in terrible condition). And city leaders need to expect the possibility that the current shell that was Ellington may cost yet more beyond $180 million to become Ellington again.